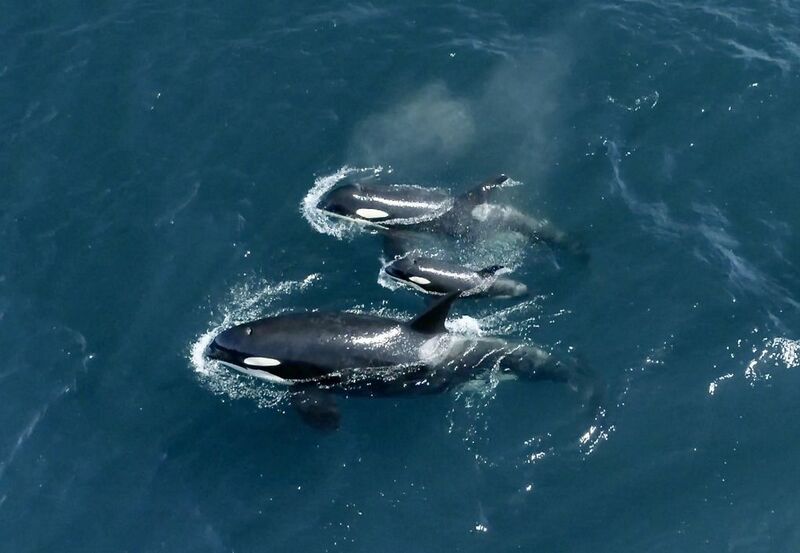 Southern resident killer whales wowed California on Sunday, with more than 30 members of L pod seen in Monterey Bay, including the oldest member of all the southern residents and the newest baby. 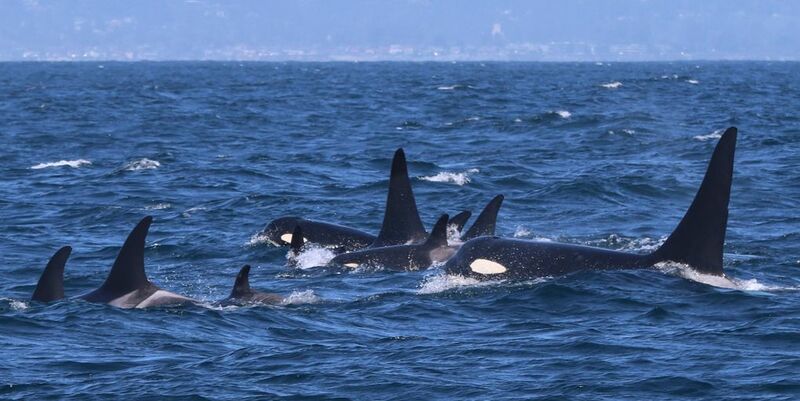 Nancy Black, a marine biologist and owner of Monterey Bay Whale Watch, said she was home when she first heard of the sighting from her staff out on the boat, and was doubtful. Transient, or Bigg’s, killer whales that prey on gray whale calves are the orcas usually seen in the California waters this time of year. The grays are lumbering north from the calving lagoons in Mexico to their summer feeding grounds in the Bering, Beaufort and Chuckchi seas. But after Black saw a few photos emailed from her crew out on the whale-watch boat, she headed out on the water. The southern residents are endangered. There are only 75 left — including the baby. The gender of the new calf, born an estimated 3 months ago, is not yet known. The oldest southern resident whale, L25 was also present. She is believed to be in her 90s. The southern residents, particularly K and L pods, travel the outer coast as far as Southern California in winter, pursuing salmon. 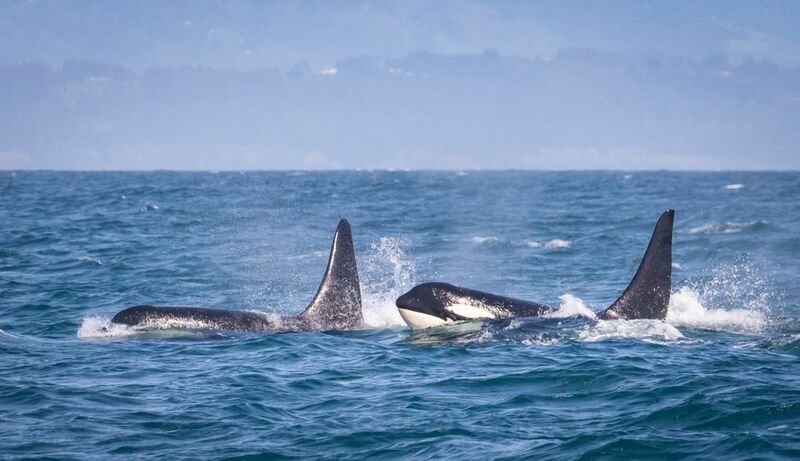 It could be the whales were targeting spring chinook heading to the Feather River hatchery, said Steve Lindley, director of the fisheries ecology division of the Southwest Fisheries Science Center of the National Oceanic and Atmospheric Administration in Santa Cruz. Or the whales could be targeting fall chinook headed to the Sacramento River, which also travel off the coast this time of year, Lindley said. Or the whales could just be working off memory of fish that used to be there. “It is an interesting question what is there, and what they might be looking for, which might not be the same thing, depending on what they remember,” Lindley said of the whales. Winter run chinook are coming back now to the Sacramento — but today they are an exceedingly rare, endangered species. But fall run chinook are enjoying a slight rebound with an estimated ocean population of about 390,000 this year, compared with 230,000 last year, said Harry Morse, spokesman for the California Department of Fish and Wildlife. “They will go where the fish are,” said Ken Balcomb, founding director for the Center for Whale Research, who said it takes the whales about a week to reach California waters. It was Black who first recorded the southern residents in California, in 2000. “That was the first we knew they had gone to California,” he said. Black said it appeared the whales were actively foraging Sunday, but she did not actually see a whale get a fish. She said she hoped a whale circling at the surface and a slick on the water might have been a kill. “Everyone really wants them to get a fish,” she said. The southern residents are at risk of extinction and lack of adequate food is one of the largest threats to their survival, in addition to pollution and disturbance from boats. PART I | Orcas thrive in a land to the north. Why are Puget Sound’s dying? 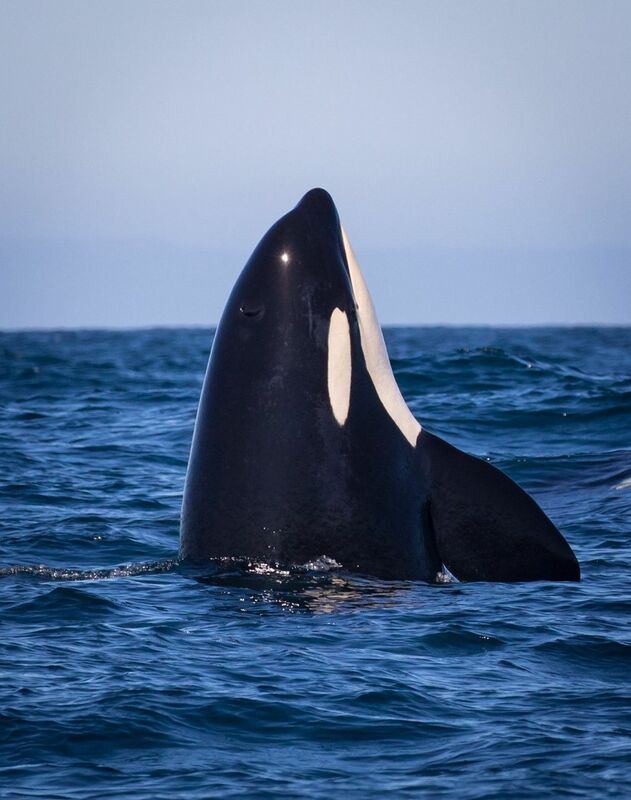 ABOUT THIS SERIES In the weeks and months ahead, The Seattle Times’ “Hostile Waters” series will continue to explore and expose the plight of the southern resident killer whales, among the most-enduring symbols of our region and most-endangered animals. We’ll examine the role humans have played in their decline, what can be done about it and why it matters. 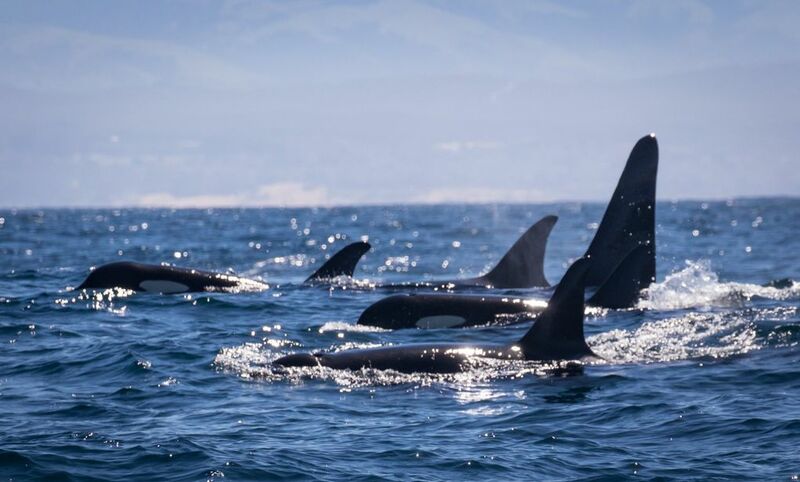 The whale-watching community in Monterey was crackling with the news of the southern residents, Black said, because it is rare to see them so far south. Black said she had only seen the southern residents about five times since her discovery in 2000. A highlight of the day was a visit to her boat by one of the whales, seemingly to take a close look at a child aboard. “It came right over, it was so intentional, and just spy-hopped right in front of her, like she wanted to check her out,” Black said. No one had seen the southern residents again as of Monday afternoon, though lots of whale-watch boats were out looking.